TEFAF Maastricht: undeniably the world’s most prestigious marketplace for traditional art and antiques. 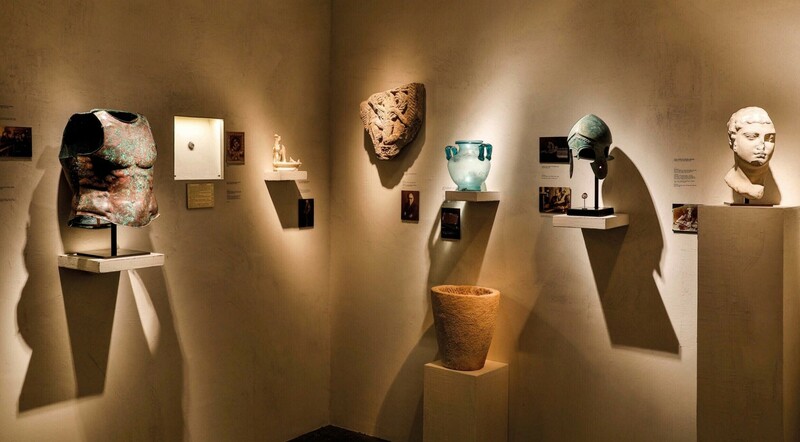 Yet with changing tastes and other fairs competing for buyer attention, this year TEFAF made significant changes to its flagship event. On the (16-24 March) final weekend, ATG went along to look for signs of change amid the spectacular displays, catching up with Patrick van Maris, the fair’s chief executive, as stands were being put away for another year. Patrick van Maris, TEFAF Maastricht’s chief executive. TEFAF may have its roots as an Old Master dealer event but it is nudging tentatively towards contemporary, where the biggest money is now spent. All exhibitors must reapply to stand and this year, 14 of the 40 new exhibitors, out of a total of 276, were in the modern and contemporary paintings section. The presence of contemporary collectors that ATG came across suggests that news of TEFAF’s increasing variety, in order to be “strong in every category across 7000 years of art”, as van Maris puts it, is getting through. 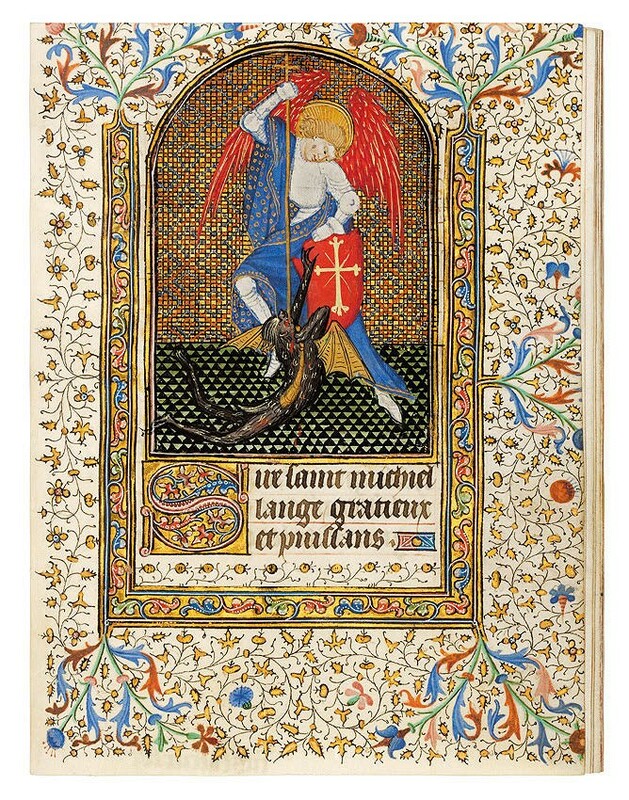 Dr Jörn Günther Rare Books sold this Book of Hours, use of Troyes, illustrated by the Masters of the Grandes Heures de Rohan. It was created c.1415-20, had an asking price of €1.85m and sold to a US collector. One Spanish collector, a regular at contemporary fairs but attending Maastricht for the first time with friends, told ATG he had “heard this fair is very impressive and it is, especially the way it blends ancient with antique and modern, and Old Masters with contemporary paintings”. Fellow first-time visitors Hilarie and Mitchell Morgan, who run a US property company in Philadelphia, were making a beeline for the modern and contemporary section. Forensic vetting is key to TEFAF’s brand. In a bold move this year, TEFAF’s 11 committees shed trade judges, leaving experts with “as little commercial interest in the art market as possible”. “The feedback we had from committees and dealers on this has been, in the majority, positive,” van Maris said. Yet there were strong feelings among some exhibitors ATG talked to that dealer expertise still needs to be heard, at a non-voting level. “We’ve told Patrick this,” said one. Van Maris responds that “we will continue to fine-tune” vetting and suggests there may have been “a misunderstanding, as we said to committee chairmen this year, if you think it’s important to have non-voting dealers on committees, you can. Some did and some didn’t. 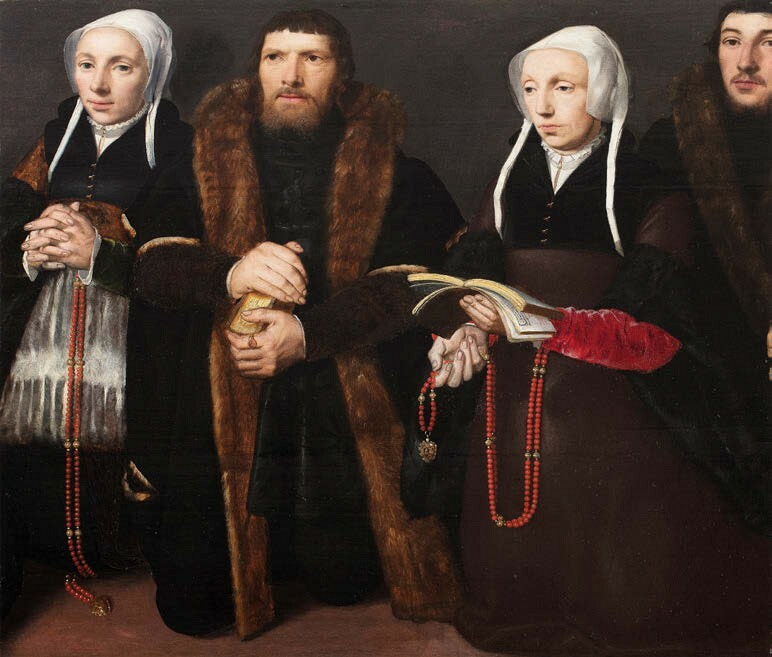 The Morgans from Philadelphia were among TEFAF Maastricht's US visitors this year. The Morgans from Philadelphia were part of the 4.6% of TEFAF Maastricht’s 70,000 visitors hailing from the US this year. It is a similar proportion to last years, despite New York now having its own compressed version of TEFAF. Van Maris was pleased with the mix of countries visiting and wants more diversity. “This year we were more international than before,” he said. “Last year, 60% were from the Netherlands and now it’s 50%, with slightly more American and Chinese.” UK visitors accounted for just 4%. “It’s nothing to do with Brexit, but the British don’t come in big numbers,” said Peter Osborne of Osborne Samuel, specialist in Modern British painting and sculpture. While institutional buying is a consistently strong aspect of TEFAF, it has an added layer of due diligence. This year, it took place at different tempos. The Weiss Gallery sold this oil on panel by the circle of Dirck Jacobsz of a donor family from the right wing of an altarpiece. It had an asking price of €90,000 and was bought by the Dordrecht Museum. The star lot of Old Master dealer Mark Weiss this year is a case in point. A 17th century portrait of a young Duc de Bouillon, later governor of Maastricht, by Michiel Jansz van Mierevelt (1567- 1641), was a new discovery and had the publicity value of being chosen as the event’s 2019 emblem. It drew much attention at the Weiss Gallery stand, though its sale to the Province of Limburg for the Bonnefantenmuseum was confirmed only on the last day of the fair. Other museum deals happened faster: an unpublished Old Master by Joseph Wright of Derby was first seen by a “major institution” on Preview day on the stand of Mayfair-based Lowell Libson & Jonny Yarker. Deal done, Two Boys with a Bladder (1769-70) had left Maastricht by closing weekend. Young UK dealership ArtAncient, standing in the Showcase section for newer dealers, applied a novel approach to proving provenance that made the most of its tiny booth. The display of each object was accompanied by an archive photograph of a previous owner, in some cases holding the object, positioned on the wall beside it. Having graciously accepted their overseas colleagues’ commiserations on the Brexit chaos back home – “they’re sorry for us,” said Peter Osborne, ruefully – British dealers seemed happy to be removed from the fray (though some were following UK news on mobile phones). 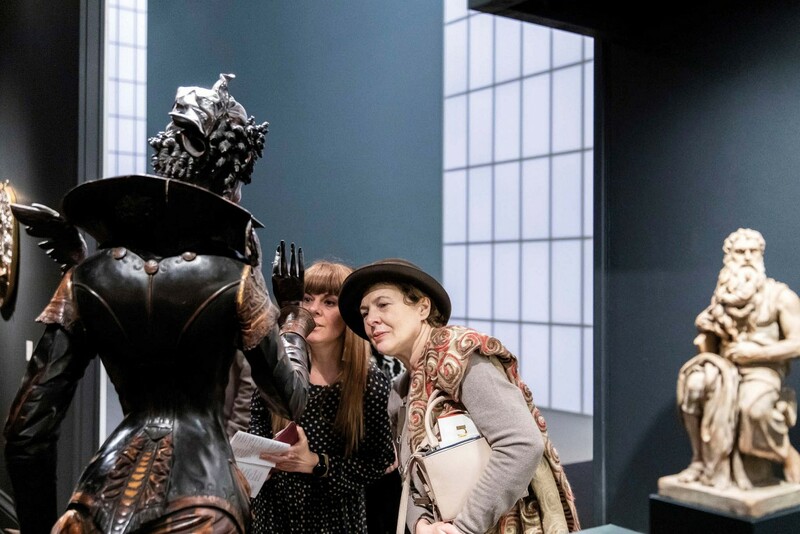 How concerned were TEFAF organisers about Brexit’s potential impact on the 2019 fair? “Of course – who isn’t worried about Brexit?” said van Maris, having been reluctant to comment on the subject before the fair. Given the vast size of TEFAF Maastricht – 270 exhibitors occupy 100,000 square feet at the city’s MECC venue – can the event get any bigger? Tomasso Brothers sold this marble Portrait Head of Emperor Augustus, crowned with a laurel wreath, Roman, c.30BC-14AD, 2ft ½in (62cm) high. It was offered on an 18th century socle with a price of €1.4m. The bust was one of last year’s great sleepers, surfacing at auction in the north of England. The answer is actually, yes – not least because the MECC is about to undergo a badly needed facelift and expansion programme costing nearly €50m. TEFAF asks the question about duration of the event in its regular exhibitor survey. “The most recent result of this was so close – a bit like Brexit, really – we thought altering the length was one change we won’t make,” van Maris said.